A logo is an important component of a business' brand. Unfortunately, working with a designer can set you back hundreds of dollars, and some of you may not be able to allocate funds for such a “cosmetic” part of your business. If you're in this boat, consider using an online logo maker or logo generator. This way you can create an appealing website logo at low budget or even for free. 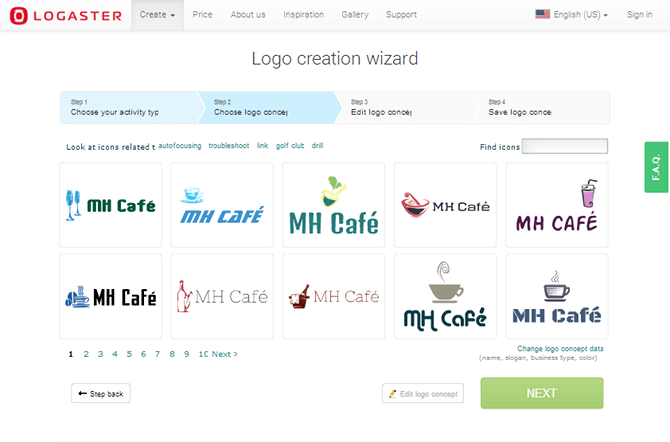 An online logo maker and logo generator is a tool that allows you to design your own logo using an easy-to-navigate, drag-and-drop interface. It also allows you to generate dozens of pre-made logos based on a set of predetermined characteristics of your brand. I'm going to go through a list of some of the best online logo makers and logo generators you can use, but first, let's talk about why website logos are important. We'll go over a few tips on designing a logo after that. If you see the “swish” logo on your favorite football player's kit, you know it was made by Nike and he or his team is sponsored by the brand. Similarly, if you see someone using a tech device that has an image of an apple with a piece missing on it, you know that product was made by Apple. These logos are distinguished enough for these brands to be recognized worldwide. Speaking of which, let's go back to that part about the Nike logo being featured on your favorite footballer's kit. Having a unique, easy to distinguish and easy to recognize logo is a great way to show ownership over anything you attach your logo to. This is how sports, tech and car brands are able to utilize “free advertising” around the world. Apple and Razer use distinguishable designs while the other manufacturers use simple text-based logos. These logo designs are more likely to captivate anyone who comes across them, giving Apple and Razer the potential to raise more awareness for their brands. Let's go over a few best practices for designing a logo before we recommend online logo makers and logo generators for you to use. Your first step in designing a logo should happen away from any pens, paper or tools. Instead, hit the search engines, and look up various logos for inspiration. Look to your competition first, then enter “best logo designs” and similar queries in your favorite search engine. While you research, use mind maps and mood boards to create visual representations of the style and tone you want to go for. Before you start, you should consider the color scheme you want to use. Typically, it's best to use two or three colors. Less is more when it comes to modern-day design. If your brand already has a color scheme, use that. Otherwise, you can use a tool like Coolors to come up with one. The logo design tools we list in this article allow you to change your font on the fly, so don't worry about deciding on fonts before you hit the design stage. You should keep in mind that it's best to use two font styles if you plan on using your brand's tagline in your logo. These styles should contrast one another, such as one that uses a scripted style and one in sans-serif. You should also make sure your font represents your brand accurately. For example, a business as professional as a law firm should not use a flowy scripted font to showcase its brand. When all is said and done, the logo should look timeless and simple. It should be captivating enough to draw attention but minimalist enough to make sense. You should also make sure it's versatile, meaning it looks good no matter where you put it. The best way to approach a logo design would be to work directly with a professional graphic designer. However, this isn't always an affordable option, as stated before. That's why we've built this list of online logo makers and generators so you can take matters into your own hands and design your own logo (for free, in most cases). Let's get started with our list. Logaster is an online logo maker and logo generator that generates logos for you using your company name and industry. You can choose from a selection of dozens of pre-made designs generated for your industry. However, you can also create your own logo as soon as you get into the editor as it allows you to switch out icons and text as you please. It also has different tools for drop shadows, three different colors and a slogan. Canva is a graphic design tool that makes graphic design an easy-to-do task for just about anyone to do. It comes with pre-made templates for a variety of different things, including Facebook posts, Instagram images, blog titles and, yes, logos. You can change the fonts, the size of the entire logo, the colors and more. FreeLogoServices is a logo generator that generates dozens of logos for you. All you need to do is provide your business information, and select a few styles you like. The free logo creator by Designhill is another example of how you can quickly make an amazing logo for your business with an online logo generator. You can browse through thousands of icons which have been created by expert designers and then customize the design to create your own logo. When you're done, just save and download your logo design, that's it! Tailor Brands is a very special and unique logo maker tool that provides SME's with great solutions for online branding. 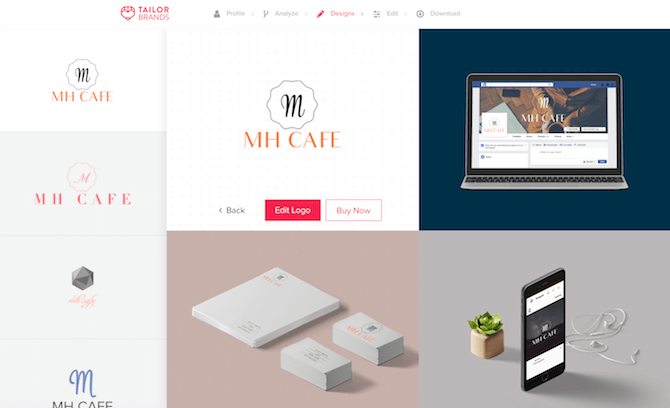 Tailor Brands uses technologies such as AI and machine-learning to simplify the process of logo generation, landing page design, social media management and more! The process of creating a logo with Tailor Brands is very smooth and simple. 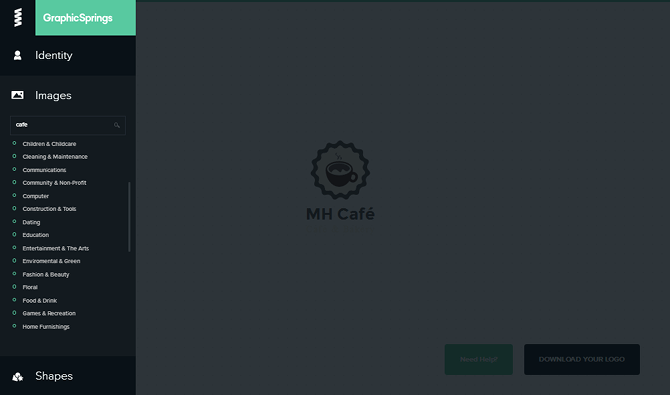 You basically just need to enter the name of your business and a business description, then the logo maker tool will ask you various questions. You'll get presented a variety of logos and you need to decide which logo you like most. After you've answered these questions, Tailor Brands will automatically generate a collection of beautiful logos for your business to choose from. Logogenie logo maker is an online tool that allows you to design beautiful logos in minutes. This site offers over 3000 logo templates that you can customize with the easy-to-use online tools. Once you're finished designing, simply save your logo and download the HD files in multiple formats. It's quick, easy and reliable. Start designing and download your logo pack in just a few clicks. Graphic Springs is an online logo maker and logo generator. It doesn't generate multiple logos for you, but it does set things up for you by asking for your business name and tagline and asking you to select an image for the graphic part of your logo. It's easy to use, and it comes with fonts, icons and shapes. Logocrisp is a free logo design tool to create your logo in 2 minutes with just 3 steps. It's as easy as just filling in your brand, choosing your preferred logo design and then download your logo. Logocrisp comes with more than 10,000 free logo designs for every business. Free Logo Design is another online logo maker and logo generator. You can either work with a pre-made design, as shown above, or you can create one from scratch. Its editor has all of the basic tools you need, such as a nice collection of fonts, icons and shapes. You can also select up to three main colors and choose a background color. Logomakr is a, well, logo maker. It doesn't have any templates nor does it generate logos for you, which means you'll need to create your logos “from scratch”. This involves using the service's built-in tools. The tools it comes with are basic. They include a wide selection of fonts, shapes, a wide selection of icons and a color changer. Renderforest Logo Maker is an online logo and branding guidance creator tool. This free online logo maker helps to create high-quality logos online in the cloud. You can use the built-in tools and cloud storage to get your logo in minutes. Choose from a wide ranges of logo styles and get your free logo. Logopony is a fast and easy to use logo maker tool to create new beautiful logos in under 5 minutes. This logo creation tool is powered by Artificial Intelligence and you can instantly create hundreds of custom logo designs based on font, letter or an icon. Just create your custom logo and you get unlimited re-downloads anytime anywhere 24/7, with no monthly payments, limits and no hidden fees. When you create a logo with Logopony you instantly get all logo files and graphics including all logo copyrights, commercial licensing, and lifetime support. DesignEvo is an excellent online logo maker that quickly creates professional-looking logos. Best of all, it's entirely free for both personal use and business use. It has a multitude of well-designed logo templates, which gives users the ability to instantly DIY a logo out from them. What's more? The DesignEvo logo maker tool endows online users with logo search capability and supports searching theme-related logos & inspirations from its logo library. Given a more in-depth look at DesignEvo logo maker, you will find that it offers two options to build a decent logo: either by creating a logo from scratch or by generating a logo with the help of premade logos. Users can customize their logos effortlessly from the top functional bar. You can change the layout, the effect, the background color, the effect of logo text, or retouch logo elements. In the left bar, users can find access to millions of icons, logo fonts and logo shapes. DesignEvo also makes it easy to place logo elements with tools that will show when you move a logo element on the canvas. In conclusion, DesignEvo is an everybody's logo maker for all-level users with or without design skills. Logomaster is an AI powered logo creation tool for startups, professionals and small businesses. With this online logo maker business owners can design beautiful logos for their business. The logos can be used online for websites, other digital purposes or in print media. Creating a logo with Logomaster means getting a royalty-free logo 10 times cheaper than hiring a designer. Designing a logo is free and you only need to pay when you are satisfied. Ucraft is a website builder that allows you to build your own website with ease using pre-designed templates. The company offers the Ucraft Logo Maker tool you can use to design your own logo. It's a fairly basic tool that doesn't generate logos for you. You'll need to create one yourself using the built-in text, icons and shapes tools. A major critique I have of this tool is its lack of guides that allow you to keep things aligned as you move them. Online Logo Maker is a cool logo generator to create logos online. It has a pre-made template for you to use as soon as you load the tool, which you can see in the screenshot above. However, it also allows you to design your own logo using text, icons and shapes. This online logo maker tool also makes the mistake of excluding guides from its editor. FreeLogoCreator is an easy to use and powerful logo designer tool. With this professional online logo maker you have full control over the logo creation process, while choosing from thousands of readymade logo templates. You can customize your logo completely and change the font, font size, colors, images, icons and then download your free version of the logo. FreeLogoCreator is a great tool to personalize your logo and make it 100% unique to your brand. DesignMantic Logo Design is an online logo maker and logo generator. The tool asks you which type of logo you like (symbol, lettermark, etc. ), which font style you like and how many colors you'd like to have. You then enter your brand name and select your industry. You can enter a specific keyword to use to search for icons, but other than that, the designs are more or less generated for you. However, you can add additional symbols and text when you get into the editor. Shopify is an ecommerce platform that allows you to build and host an online store. The service offers a free logo maker called the Shopify Logo Maker. 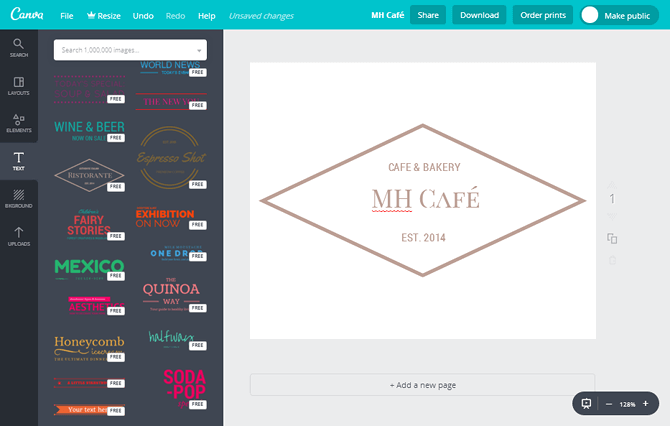 It's a simple tool that allows you to design a logo with text and icon tools. It's a decent tool, but its icon library is terribly disorganized. You can't even use a keyword for it, so you'll need to dig through it manually. LogoType Maker is a logo generator that generates logos for you using your company name and industry. Unfortunately, most of its icons are a little outdated, but you'll find a few gems here and there. When you get into the editor, you can change fonts, colors, shadows and more. LogoCrisp is a logo generator that allows you to generate logos based on your company name and industry. It doesn't allow you to edit the icon your logo uses once you get to the editor, so you'll need to rely on one of the pre-made templates. You can, however, switch out fonts and colors. You’ve now learned how easy it is to create a logo online with logo generators. However, if you feel that you can't design a logo by yourself, you can let professionals take care of the logo design. 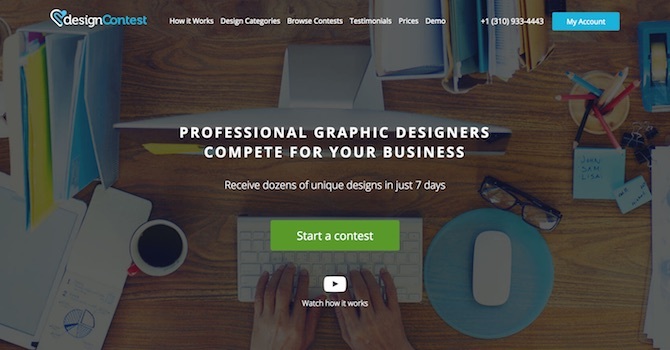 A great way to let professional experts design a logo online for you are design contest sites. On sites like DesignContest.com professional logo designers are ready to design a logo for your brand. Creating a logo through design contest sites is pretty straightforward. 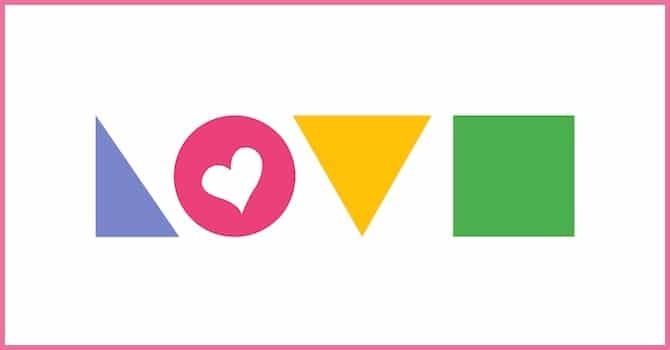 You just need to brief the designers on your preferred logo. Do you want a minimal logo or complex? Modern or classic? Playful or serious? The logo will be designed based on your personal preferences. Once you’ve completed the briefing, professional logo designers will start working on your logo and submit their designs for review. You can then pick the winning design and utilize the logo for your brand. Find inspiration before you design. Decide on a color scheme for your brand before you start. Use a font that represents your brand accurately. Use contrasting font styles if you decide to integrate your slogan in your design. Make sure the end result is simple yet unique. I highly recommend using a few of these logo generator tools to create different types of logos. Don't feel like you need to hit the nail on the first go. Come up with a few different designs, and choose your favorite. Do you have any questions about logo design? Or do you even have any experience designing logos? Share your tips with everyone in the comments below! Disclosure: This page contains affiliate links to 3rd party products or services. If you choose to make use of these products or services, we may receive a commission from the product or service provider with no additional cost on your end. It’s easy to create your own website logo online by using logoverge.com. It’s a free logo design tool. Well, amazing article. Personally, I like it. But do you really think that online logo makers can give you quality designs? Otherwise, it’s cool! To get quality designs, you can approach a graphics design company or a professional logo designer. Your brand image is essential. Every business needs a logo design to represent their business. These logo makers are effective but without design skills, it won’t work. It would be better to go to a graphics design company. So, it’s beneficial for the creative mind. Hi Lyn, I understand that I am a bit late to the party, but time goes by and new logo makers being created. So may I suggest our tool to your list? It does almost the same that other generators do but we took a completely different approach on artificial intelligence algorithm. Our tool creates more detailed and colorful logos ending in more polished and complete logo designs. Also, we ship the same packages quality but for half the price, so hope it will be a great addition to the list, thanks! Hi Eugene, for business inquiries feel free to contact us. Great post! I agree with you Lyn. A unique logo is important as it helps to attract new customers. People are naturally drawn to design elements, and depending on your audience, your logo can draw them in. They create familiarity and promote brand loyalty. Designing a logo used to require an education in graphic design, and most businesses had to shell out hundreds for a graphic designer to create a professional logo they could feel proud of. With online logo makers, this isn’t the case anymore! I personally like LogoDesign.net. I think their logos are better quality and they have 5000 plus logos. They are 100% free. Yes, online logo makers are very easy to use to make a brand logo in no time. I like these free logo design tools, thanks. Nice post. I think the concept is a core element when looking to design logos for a business which has to make a connection with its consumers. That’s why custom logo design is a pretty hard thing and not everyone’s cup of tea. Very much informative. I love your blog content and I’m already a follower of it. I think that when it comes to custom logo designing, it’s necessary for new businesses to have a logo design that perfectly resembles their business philosophy with a complete design solution. When a new business starts, it is very important for a business to have custom logo design which resembles the representation of that business. This has become very much essential for a successful business.